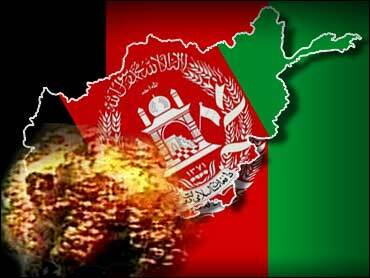 NATO says two U.S. service members have been killed in an explosion in southern Afghanistan. Lt. Col. Todd Vician says the two were killed by a bomb explosion in Zabul province late Thursday morning. He did not have any further details. Jilani Farahe, deputy chief of police for the province, said a suicide car bomber detonated his explosives near the gate of a NATO base. He said no civilians had been hurt in the blast. Meanwhile, Afghan officials say a suicide bomber targeting an Afghan security forces convoy in the south of the country has killed 10 civilians and wounded another 13. The deputy police chief of Uruzgan province, Gulad Khan, says the suicide bomber was on foot and blew himself up in a busy market, before reaching the convoy. Khan says three of the dead are boys aged between 12 and 14 who were selling shopping bags in the market. He says four of the wounded are in critical condition. Seven shops were also damaged in the Thursday afternoon bombing. Interior Ministry spokesman Zemeri Bashary says a policeman had tried to stop the suicide bomber, who then detonated his explosives. Bashary also said the dead and wounded were civilians.